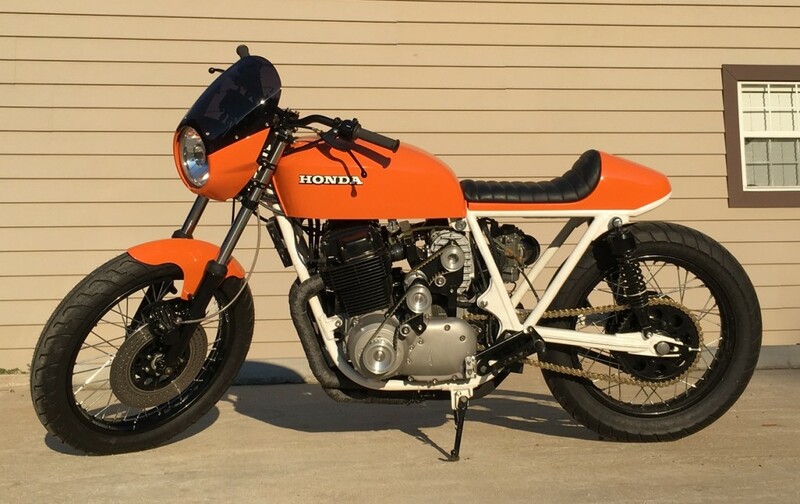 It’s a truth universally acknowledged: When you put together a Honda engineer, a ’74 CB750, and an AMR500 supercharger, good things happen. 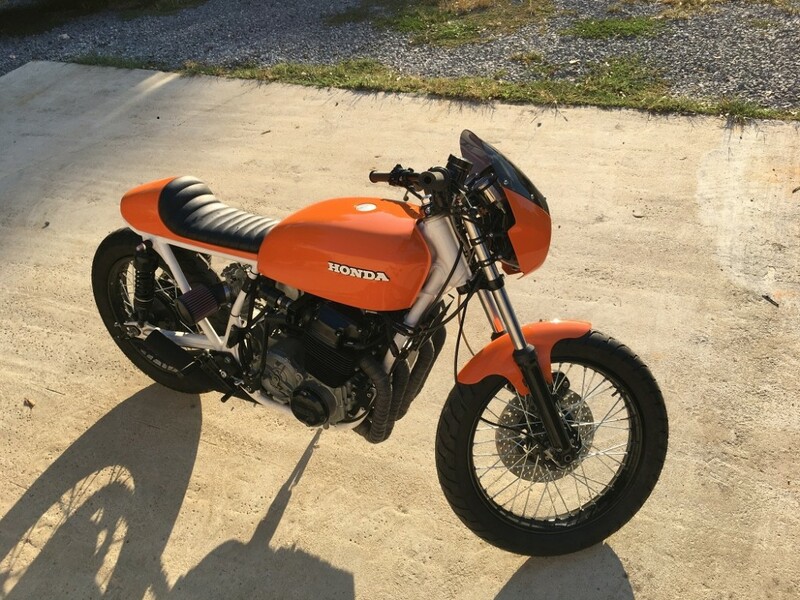 Earlier this month, Justin Blue — a Honda engineer living in Pell City, Alabama — brought this gorgeous orange Honda “CB836” to the Barber Vintage Motorcycle Festival. 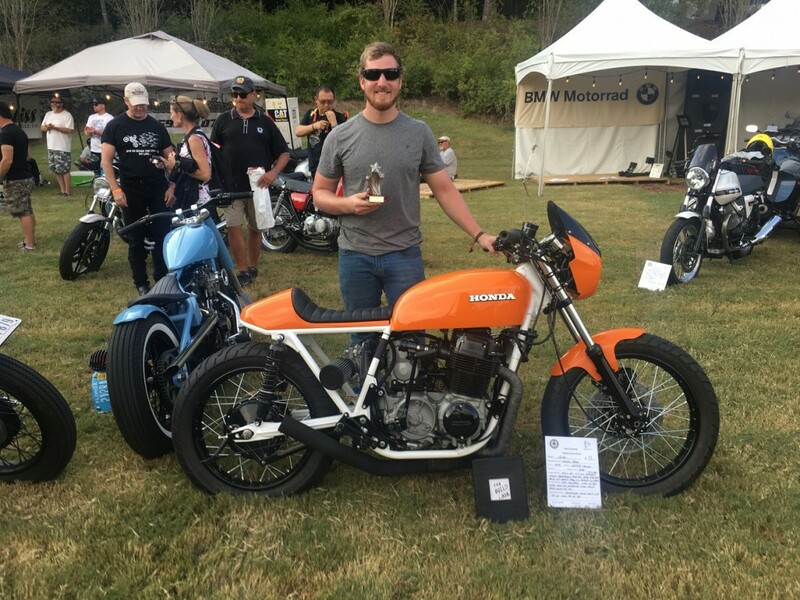 The bike would take home two awards: “Best-Sounding Japanese Four Cylinder” and “All Class Champion” at the 2018 Ace Corner Championship, hosted by Ace Cafe Orlando and our friend Kevin Dunworth of Dunworth Machines. Below, we get the full story on this boosted, 836cc CB. My name is Justin Blue, I’m currently living in Pell City, AL. I have been into bikes my whole life, grew up riding and racing motocross. Have been titled a fabricator/welder for the last 8 years or so. I started building bikes back in college after I gave up motocross racing. After graduating with my bachelors in Mechanical Engineering, I got a job working for Honda. I have multiple bikes but a Honda fan at heart. I currently build bikes in my spare time for myself at a friend of mine’s shop. 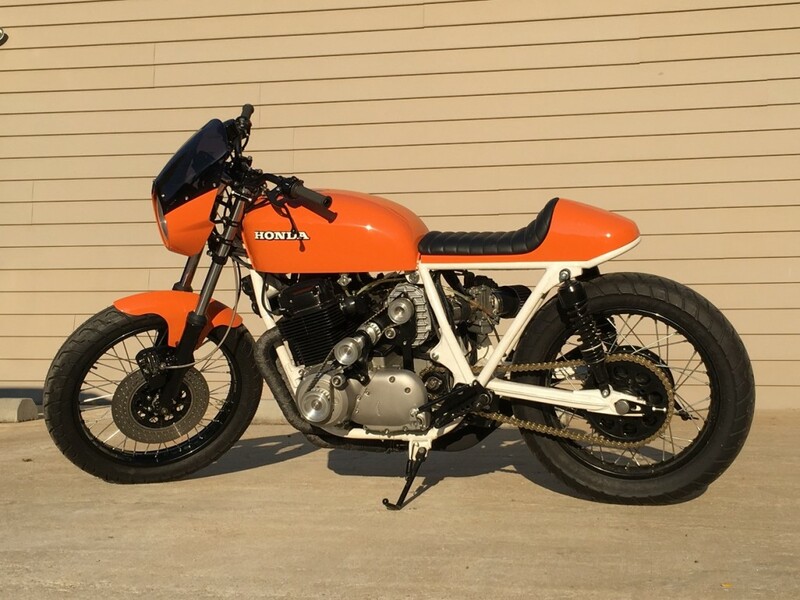 The bike is a 1974 Honda CB750. The bike was build for my pure pleasure and to test my skills. 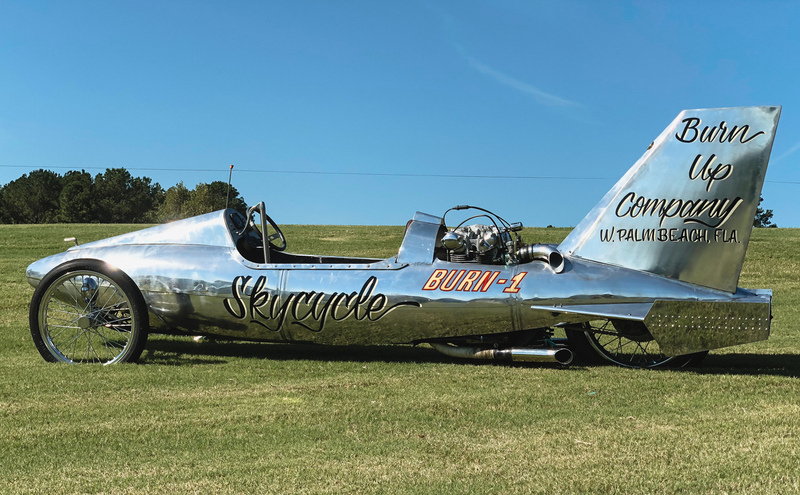 The design of the build was to have a true custom-built bike of something I’ve never seen. 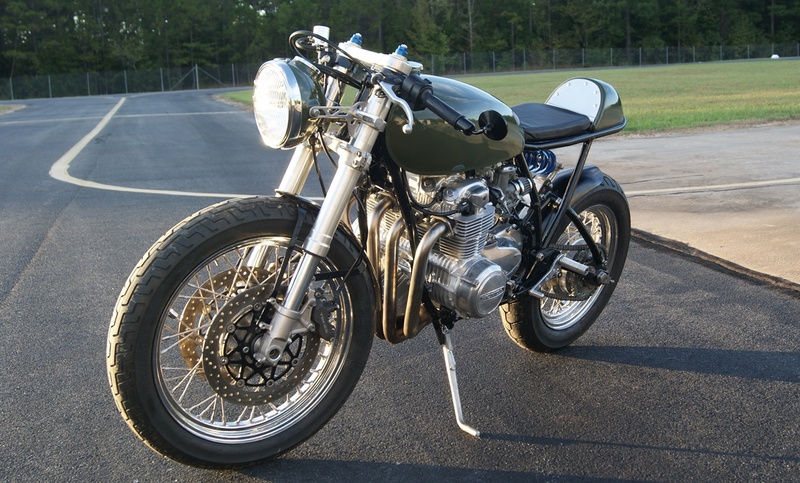 I’ve always been a fan of the CB’s being my first cafe project was a CB550. I always wanted a CB750 but I wanted it to be highly modified, and something I could see myself riding. 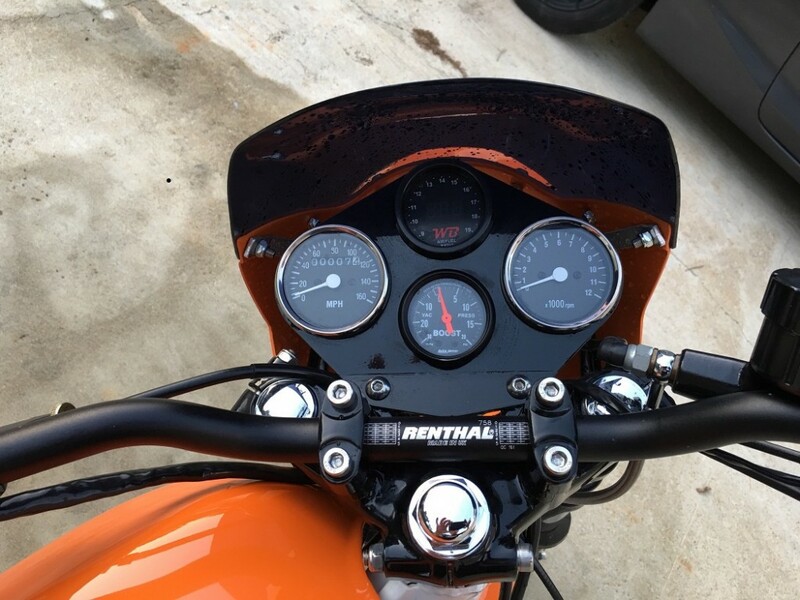 The bike is far from stock. First the bike came in boxes and a frame for $300. I managed to round up parts to make a complete bike. I chopped the frame and hooped the tail section with a handmade seat section. I rebuilt the engine with an 836 kit, forged aluminum rods, cx-3 cam, lowered compression, added a AMR500 supercharger and created a custom one off Jackshaft setup driven of the crank. The blower is set up for 1.3:1 pushing 5-10 lbs depending on the blow of valve. Fitted with a custom hand made intake breathing through a single HSR42 flatside carb. Completely new wiring harness, electronic ignition. Everything on the bike was hand made other then the tank and windshield. Adapting a supercharger and actually making it run like I planned on. Also creating something I’ve never seen before with this particular setup. Danny Parks sharing his shop with me and helping me when he could. Dixieland Powder Coating for all the coating and sandblasting. Also Street Style Garage for painting my parts last minute. -nice sound. how does it drag race? Great work and vision. I had a Druin on one a long time ago, pissed fuel while stopped at lights and would eat chain for breakfast. Rickman orange was a good choice. I’m looking for someone to finish a 70’s model Yamaha XS650 my dad picked up cheap a few years ago. We were building it together but his health has steadily declined and he can no longer work on it and no way I could do it myself (I’m more of a computer nerd). The bike is in running condition and we’ve done a few mods. 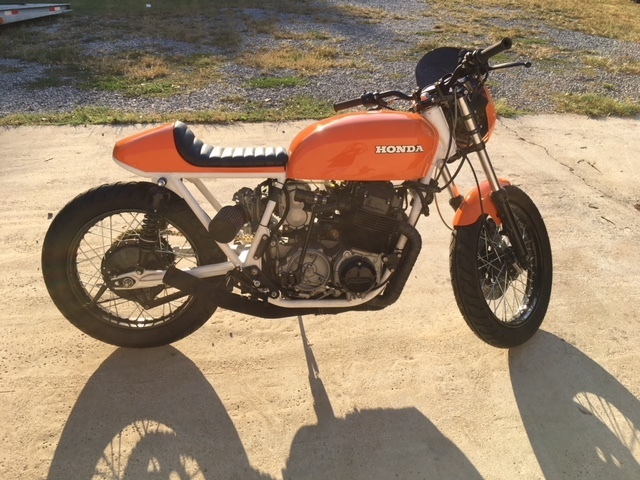 I’m not looking for a show bike, just a clean cafe racer or bobber to run around town. Looking for suggestions on someone, or a shop, that could do this and not break the bank.